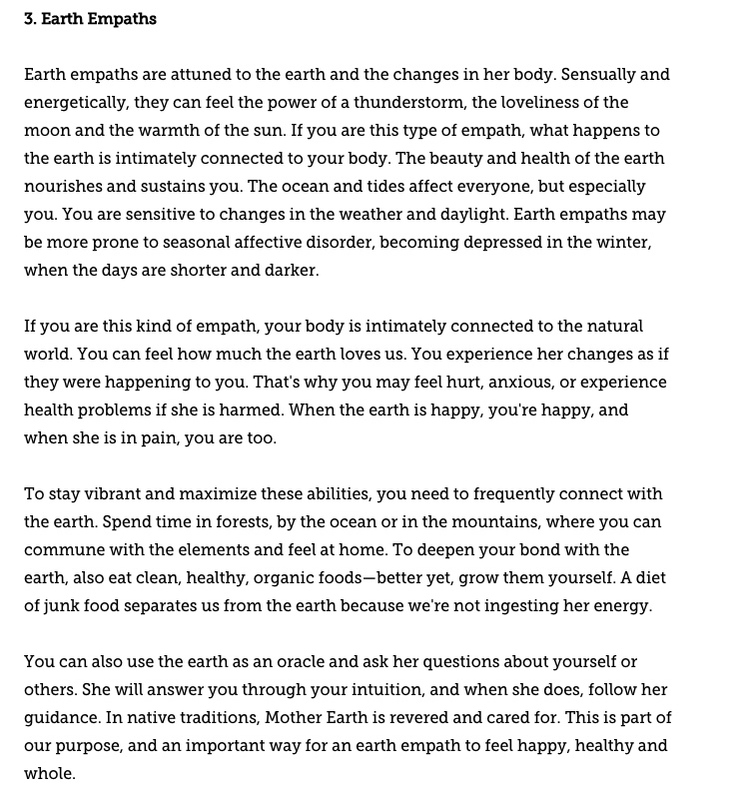 Intuitive empaths are highly sensitive people that can sense subtle energies, emotions, and physical symptoms from others and absorb that energy into their own bodies. It is often difficult for empaths to distinguish someone else’s discomfort from their own. 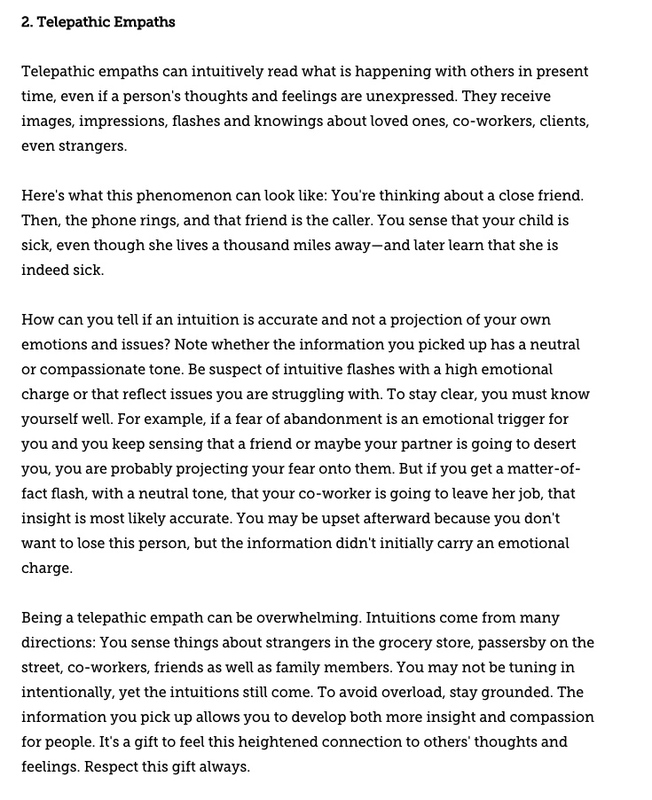 Intuitive empaths are a type of empath that may experience profound spiritual and intuitive experiences such as heightened intuition, telepathy, messages in dreams, animal and plant communication, or have premonitions about the future while awake or dreaming. Intuitive empaths can manifest in different forms. 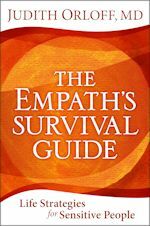 My article, written for Oprah.com, highlights four signs that might indicate you are an Intuitive Empath, and how to embrace and maximize these gifts to enrich your life. Read the full article on Oprah.com here. 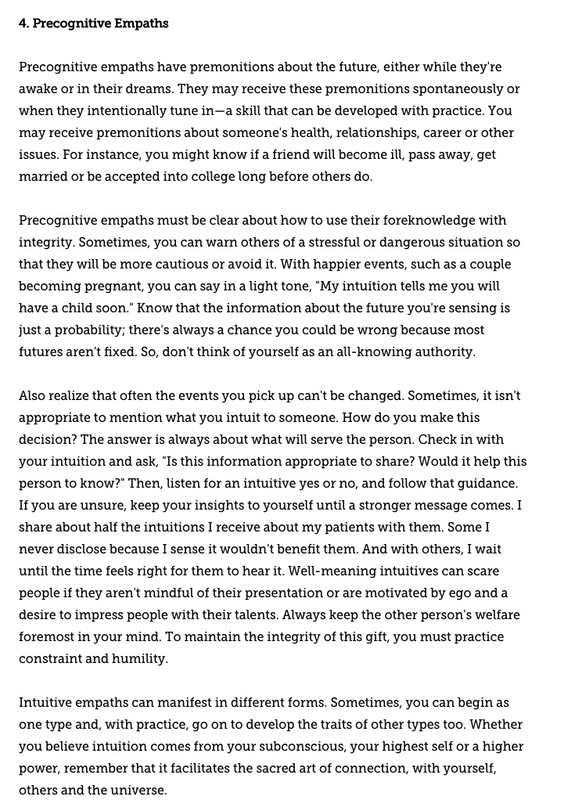 This adapted excerpt is from The Empath’s Survival Guide: Life Strategies for Sensitive People, by Judith Orloff, MD. Copyright © 2017 by Judith Orloff. Published by Sounds True in April 2017. Dr. Judith Orloff is a psychiatrist and the author of five other books, including Emotional Freedom.